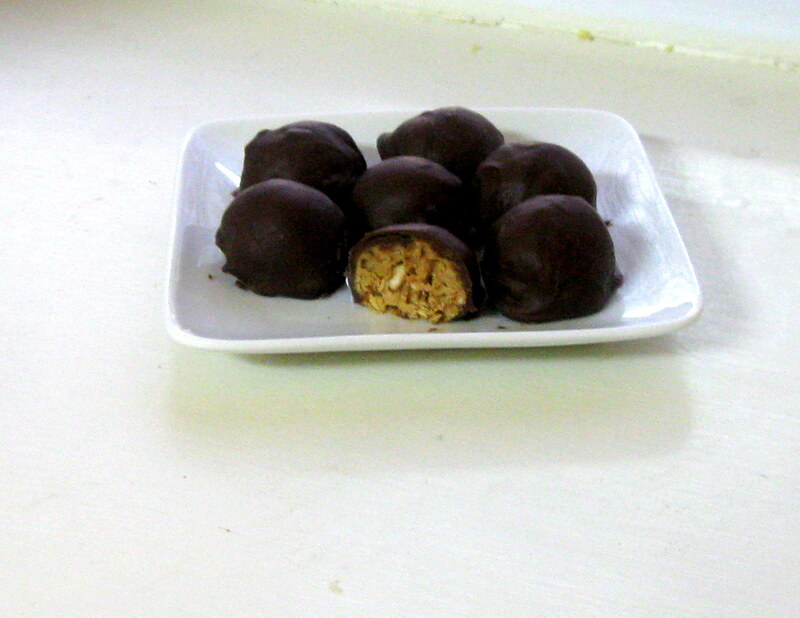 I thought I would share these truffles because I really like them. My husband came home from work the other day and I had moved them and he very quickly asked where they had gone. He thought I had eaten them all and seemed a little sad about that. When he realized I had just moved them then everything was better :). As per usual, I've been trying to think of fun ways to vary this treat. I feel like an obvious way is to use crunchy peanut butter, almond butter, or a flavored peanut butter (such as PB & Co). Just imagine their dark chocolate peanut butter mixed into this. Yum! The white chocolate one would be fun too, then dip the truffles in white chocolate. You could also crush up chocolate covered pretzels then you would have chocolate on the outside and on the inside. I'm getting a little crazy here I know. Ready for the super quick and super easy recipe? By the way, I'm sorry about my pictures, they don't do these little treats justice. The light was pretty gone outside and I'm pretty sure my camera was on the wrong setting but hey, at least you can get an idea of what they should look like :). 1. In a medium bowl mix together the peanut butter, powdered sugar, and butter until smooth. Stir in the crushed pretzels. 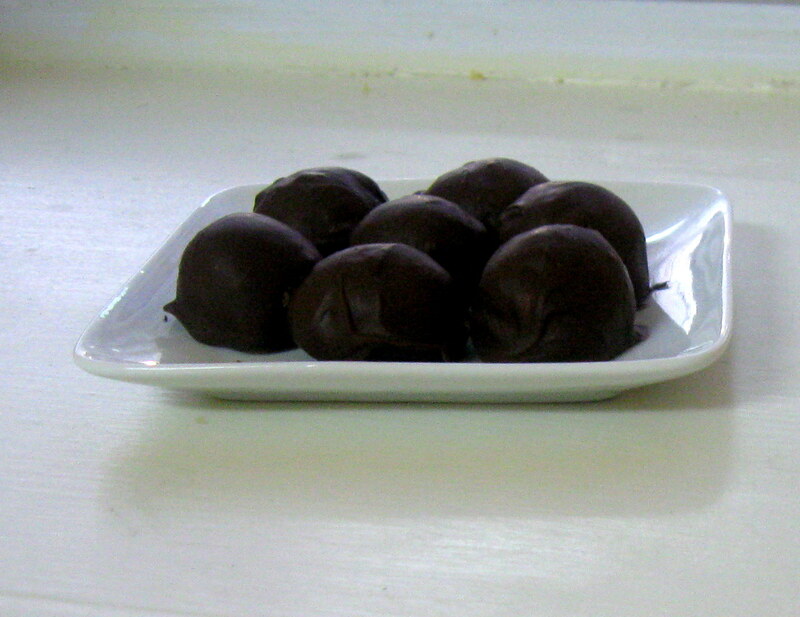 Roll about 1 tablespoon of dough into 1” size balls. Freeze for 20-25 minutes. Dip the truffles in the melted chocolate. Refrigerate to set the chocolate. Yummy! I LOVE the combination of peanut butter, pretzels and chocolate. I've pinned this recipe. Thanks so much for stopping by and following This Gal Cooks! I've followed you via GFC and Twitter. Looking forward to reading more from you. Hi Shannon. These look delicious! I'm your newest follower via This Gal Cooks/Build Your Blog. I'm Jenni and would love if you stopped by my site as well. http://jferriswheelof.blogspot.com/. Have a great day! Thanks Jenni! I'm following you now too :) Thanks for stopping by!